"I'm so glad I found out," said Barb Colborne, after discovering the man she met on Match.com had multiple identities. Colborne, a widow living in Apple Valley, thought her online suitor was a potential husband, until she watched an NBC4 investigation in early February. "He sounded great," she said. The investigation exposed what authorities say is a "tidal wave" of criminals, who lure men and women by posting fake profiles on dating websites, and then try to scam them out of money. 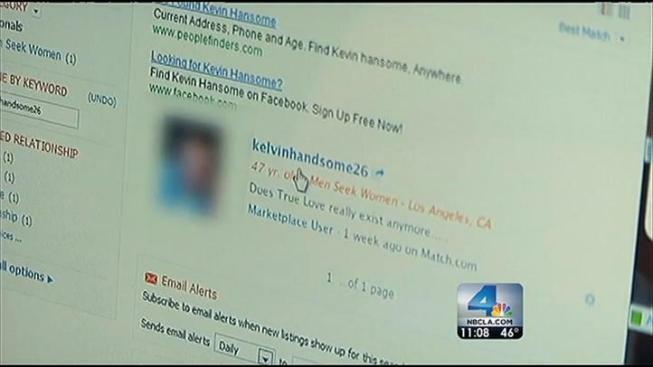 NBC4 showed viewers how to find out if someone they meet online is a potential scam-artist. Match.com said that the company employs 100 fraud team agents screen every profile for possible scams, but acknowledged that "a few of these sophisticated criminals still slip through all of our checks." "I was up 'til 3 o'clock in the morning from an 11 pm show, because I was just going and going," said Barb, who decided to use some of the research tools she saw on NBC4's 11 pm news. There are numerous free websites, which can help you research people who post profiles on dating and social media websites. If an online suitor gives you a home address, you can put the address in a real estate websites, such as Zillow, to see if it really exists. The US government also has a website that tells you how to identify the online profile of a crook. And Google + has a little-known "face recognition" feature called Find My Face on its site, that can help reveal the real identity of someone in a photo posted online. 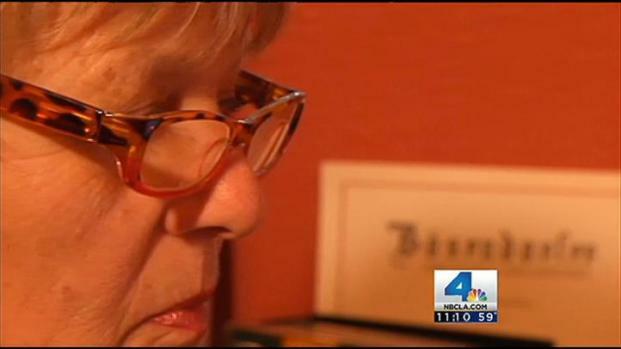 The man who contacted Barb Colborne on Match.com called himself "Brian" and claimed he was a 50-years-old, was of Italian descent, and lived in Los Angeles. After seeing NBC4's report, Barb decided to upload the photos he sent her into Google's face recognition feature, "because I learned how to do it on TV," Colborne said. Google directed Barb to a different dating website, where she found another profile with Brian's photos . But the man in this profile was calling himself "Kelvin" and had a different background: 47 years old, Native-American, and lived in Del Sur. "I've been duped," Colborne said. She emailed "Brian" and told him she thought he was a fraud, but he never responded. 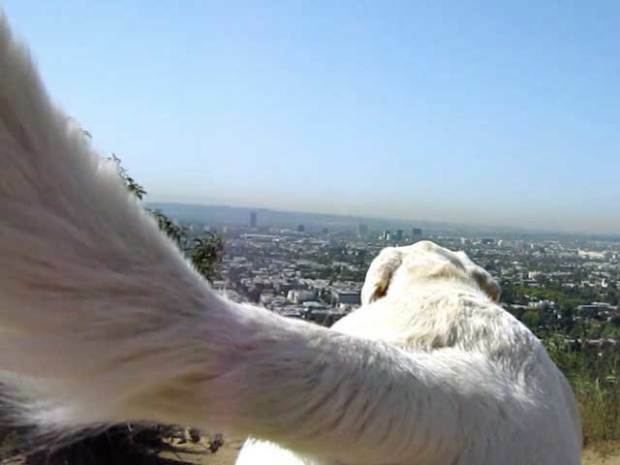 Numerous other viewers also realized they'd been duped after seeing the report. In our early February report, we exposed a scammer on Match.com who called himself "Frank Chadwicks" of Oceanside. "Frank" created a fake profile, using someone else's pictures stolen off the internet, to romance women like Dawn DeMars of Thousand Oaks, and then ask them to loan him money. "What woman wouldn't like a guy to say, 'gorgeous picture (you have), love your smile," DeMars said about the amorous emails she received from "Frank." But at least two more women who saw the NBC4 investigation said "Frank Chadwicks" was also telling at the same time that he wanted to marry them, and was asking them for a loan. "Imagine my surprise watching the 11 pm news, and you mention Frank Chadwicks, who also said he "loved" me in no less than five emails," said Melinda of Los Angeles, who asked that her last name not be used to protect her privacy. A spokesman for Match.com said the web dating service isconstantly on the lookout for scammers on its site, the world's largest online dating venue. "We take these issues very seriously and diligently address them on the site, tracking, monitoring and preventing fraud at every step of the way," the company in a written statement to NBC4. Match.com has a team of more than 100 fraud agents "who manually review every profile before it’s allowed on the site," according to the statement. "But a few of these sophisticated criminals still slip through all of our checks."